The classic denim jacket gets a Victorian-inspired remake on this dramatic silhouette. The classic denim jacket gets a Victorian-inspired remake on this dramatic silhouette. 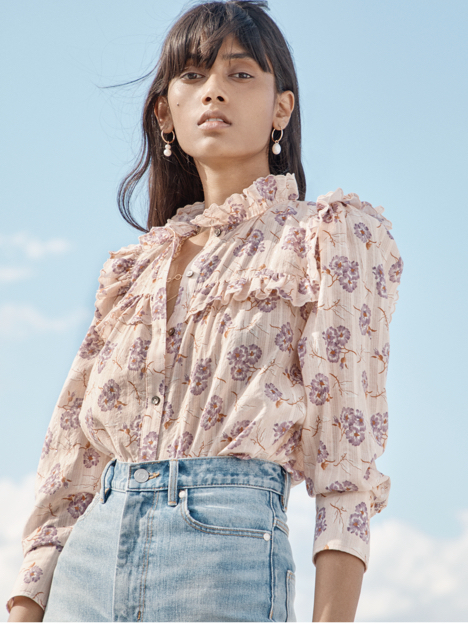 Dimensional sleeves, corset seaming, ruffled collar and peplum waist give the jacket a feminine feel, while its true-blue wash lends a cool, ‘90s attitude.